After a few months between seasons, we're just about ready to get going with our 55th official season - Kamel GT! 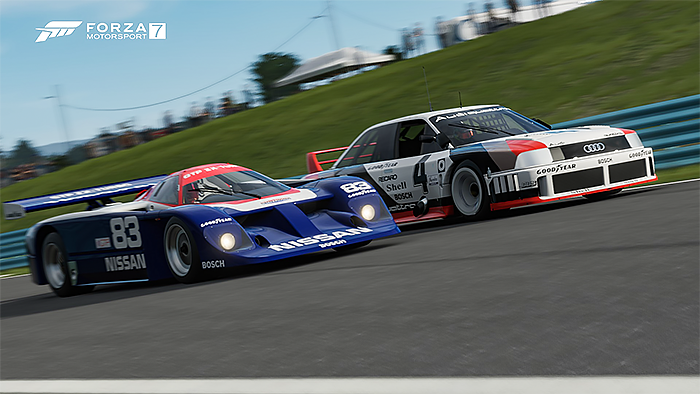 Based off of the iRacing series, we'll be using two cars that might be familiar to you if you're running in the Classic 24 here at TORA - the 1985 Nissan GTP-ZX and the 1989 Audi 90 IMSA GTO! Our 9-race season begins Monday, January 28th at 9:15 PM EST. Qualify during the week ahead of each round, or attend the last chance qualifier at 8 PM EST. We'll send out invites and hope to start by 9:15 PM for races that will be about 1 hour in length. This season will see a return to a multi-class format and as such, there are quite a few different rules to familiarize yourself with. Sign-ups for the Audi are still open and we look forward to seeing you!